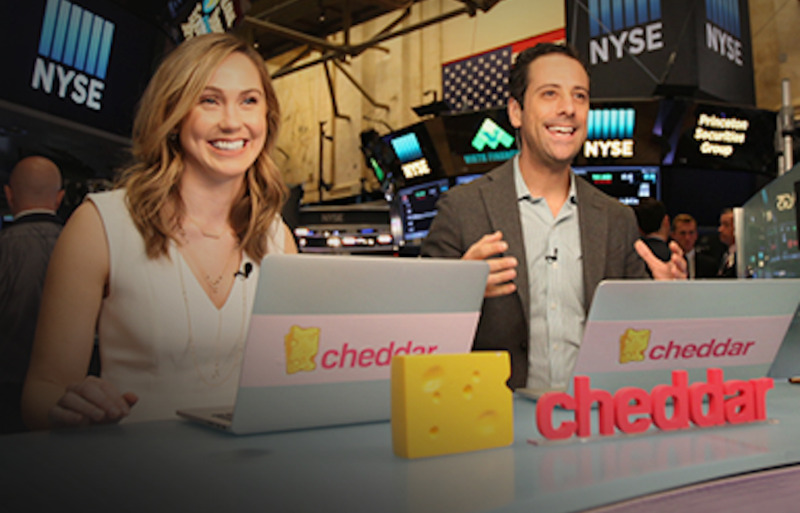 The web video startup Cheddar has raised another $US22 million, bringing its valuation to $US160 million. The two-year-old ‘post cable’ network is planning to expand internationally while adding a second network in the US. Cheddar, the self-described “post cable” financial news startup sometimes called “CNBC for millennials,” has just raised $US22 million, bringing its valuation to $US160 million, according to the Wall Street Journal. It’s been a wild ride for Cheddar, which was launched roughly two years ago by former BuzzFeed president and Daily Mail North America CEO Jon Steinberg. Soon after that debut Cheddar said it planned to start charging its young audience for exclusive access to its content for $US6.99 a month. But more recently, Cheddar has been inking a string of distribution deals, with partners ranging from Twitter to Twitch to fledgling streaming services such as Haystack TV. Cheddar’s videos are now free and ad-supported. The new funding round was led by Raine Ventures and included Liberty Global, Goldman Sachs and Dentsu Ventures, among others. Cheddar has now raised $US52 million to date.